Winners Announced - Share Your Farm with Friends Giveaway! 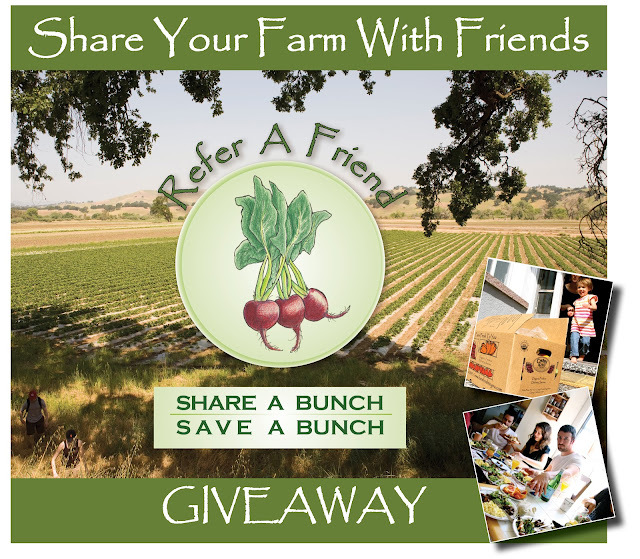 Thank you to everyone who both shared our service and their comments in our Refer-A-Friend program and Share Your Farm With Friends Giveaway! We were extremely honored by the comments received and hope that you take a moment to enjoy some of the stories. Thank you again for all the wonderful ways you already share our service and to everyone who entered. We'll be sending an email to all the winners on Tuesday. Farming always requires a good measure of patience. I am constantly reminded of this. Today, we will finish pulling the weeds out of our current crop of garlic, which has a little story of its own. Last fall, I decided to plant garlic because I love it, and it is an enjoyable crop to grow, but it was tough to find seed at the time we wanted to plant. After weeks of searching we found a little, bought it, and planted a half acre of it — over a year ago. 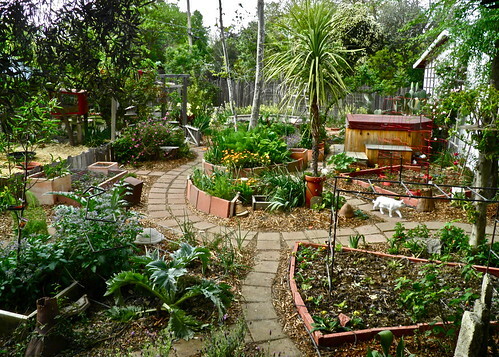 By spring, it had grown up nicely and the seeds had matured. We pulled the heads out of the ground, dried them out a bit, put them in cold storage, and were eager to plant them back in the ground in the fall. The summer passed with the garlic stored in bins, and we were careful to keep it dry and cool to prevent any rot or early germination. A few months ago when the weather cooled down in September, we decided it was time to plant our precious seeds. 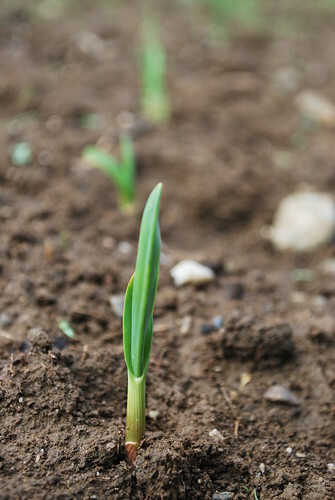 We planted them in a field that we irrigated and cultivated twice in order to germinate and kill some of the weed seeds that inevitably accumulate in the soil and threaten to out-compete our little garlic plants. One morning, the barn was filled with the mouth watering perfume of freshly cracked garlic heads. The crew wears gloves when cracking and striping the heads. 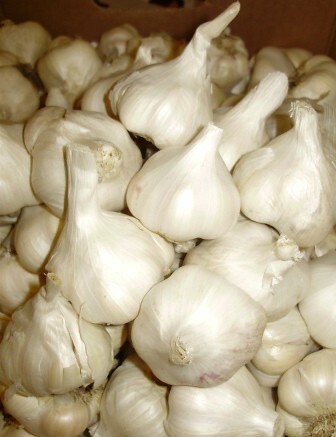 Can you imagine how intensely your hands would reek after shucking two tons of garlic? 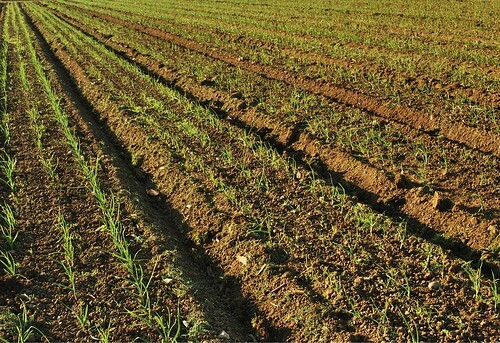 Each clove was separated from the bulb and planted by hand to fill a three-acre field. We are pleased with the growth of our original half-acre investment. 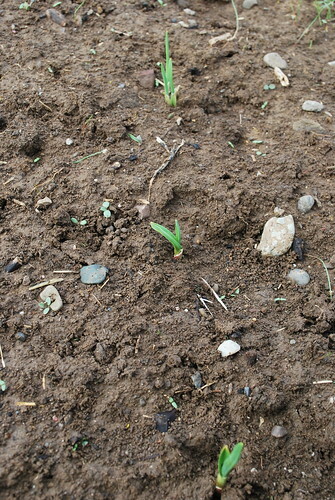 As I am writing this, over two months after we planted it, the first cultivation of the garlic field is almost complete. We started by dragging the tractor cultivator sled through the field to cut out the easy weeds, but the real work was done by hand. 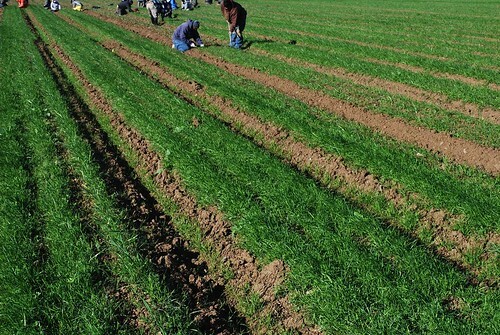 Our crew has spent the past five days hoeing and tugging out the dense grasses that sprouted up between the garlic shoots. In the spring, we will harvest the bulbs and bunches of tender green garlic leaves, and they will make their way to you. Every vegetable has a story! It’s true when they say that anyone can benefit from rolling up their sleeves and getting their hands a little dirty, all for the sake of growing something. It’s true because this simple act of growing—whether in a pot on your patio, or in your home garden—teaches you as much about life as it does the art of bringing a plant from seedling to fruit. The same is true of The Quarter-Acre Farm book by award-winning author Spring Warren. It’s more than informative, as it too is a tale about life and humor and enjoying food as Spring tells the stories and recipes behind her year of eating from her yard’s bounty. 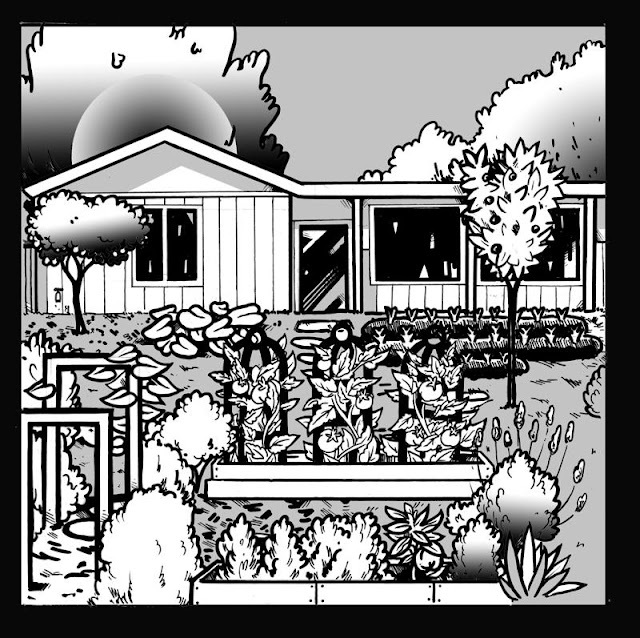 Whether you consider yourself to have a green or black thumb, you'll find that Spring's book reads like a novel with witty adventure, good times and bad times and a humorous cast of real characters from her own family, their pets, the local community and her childhood. Not your typical how-to-garden book, she shares stories of "bunny berries," coffee-ground Christmas presents and "mummifying" olives! 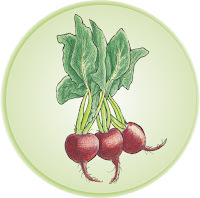 And did we mention that there are seasonal recipes! 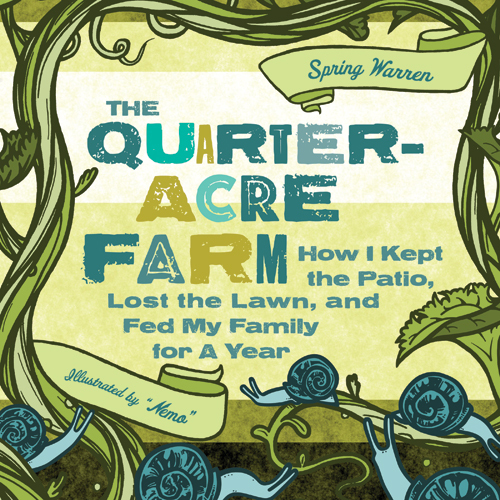 We would also like to mention that Spring has very generously donated two signed copies of The Quarter-Acre Farm to share with you! And she keeps the goodness coming by appearing as a guest blogger here on our site next week with a wonderful post and recipe using fall & winter greens. As we head into the chilly season, how do you continue to enjoy the natural world around you? What's your favorite part of the late fall and winter season? Is it the leaves? Watching the rain? Getting muddy? Thank you for all the amazing comments! They were so wonderful that we chose TWO WINNERS! 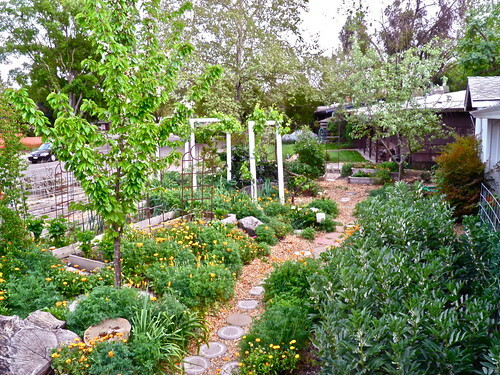 I like my rain barrels being full from the rain and being able to water my fruit trees with my own saved rain. Watching my chickens thrive while looking for worms in the wet earth. The long evenings mean that I stay home and cook my wonderful organic vegi's. Living in Southern CA it can be difficult to tell that Fall has truly arrived some years! I know fall has arrived when I rake the neighbor's leaves from my yard and start dreaming of baked sweet potatoes, fresh pomegranate, and pumpkin bread! Thank you again to all who entered - we are enjoying your comments so very much! Winners were chosen by Random Number Generator and announced on our blog on Tuesday. December 6th. A big thank you to Spring Warren and be sure to check out The Quarter-Acre Farm and Guest Blog Post & Recipe.